Many predicted that a number of Napa Valley wineries would fail during the recession. Knock wood, but it appears that they weathered the storm quite well. Spring is normally a time of optimism and renewed hope, and I see no reason to resist this fundamental, natural impulse. As I write this, the rainstorms in the east have subsided, and cold weather is giving way to warm. The economy overall seems to be spluttering back to life; the recession, as it is measured by some mysterious metric or another, is over, though it will take some time for people to actually experience that for temselves. The reports from Bordeaux on the 2008 vintage are positive. (See Roger Voss’s report on Bordeaux En Primeur on pages 15 and 90.) And the news from Napa Valley is promising as well. Our June issue is traditionally the issue in which we celebrate Napa Valley, the wine region most people in this country, and the world, associate with fine American wine. And if averting disaster is a reason to indulge optimism, then Napa is a case in point. Recall that as the recession deepened two years ago, there was speculation that there would be a wave of Napa winery foreclosures and failures, that upscale facilities and valuable vineyard land would be sold at fire sale prices. That didn’t happen. What was primarily responsible for this resilience? “Going into the recession they were in good financial shape and were able to weather the storm,” said Motto. Perhaps no area of Napa Valley more exemplifies its resilience than Napa City. This city at the south end of the Valley has long been held back from fulfilling its promise by frequent floods of the Napa River. But now, as Steve Heimoff reports in this issue, the river has been tamed and the city is blossoming. 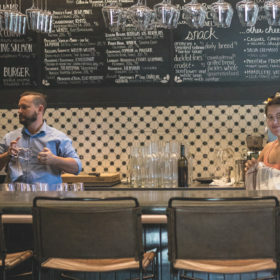 New restaurants, nightclubs, hotels, markets and wine bars are proliferating, making Napa City an ideal base from which to explore the valley. Also in this issue, you’ll find an article on the starring role that sparkling wines can play at a dinner party. People don’t generally think of drinking sparklers throughout the evening; they are often served at the start of a special evening, and then still wines take over for the multiple courses to follow. But many sparkling wines are great food wines, and on page 38, Jordan Mackay, along with our tasting panelists, takes you through a wine dinner, recommending great dishes and great wines to serve. 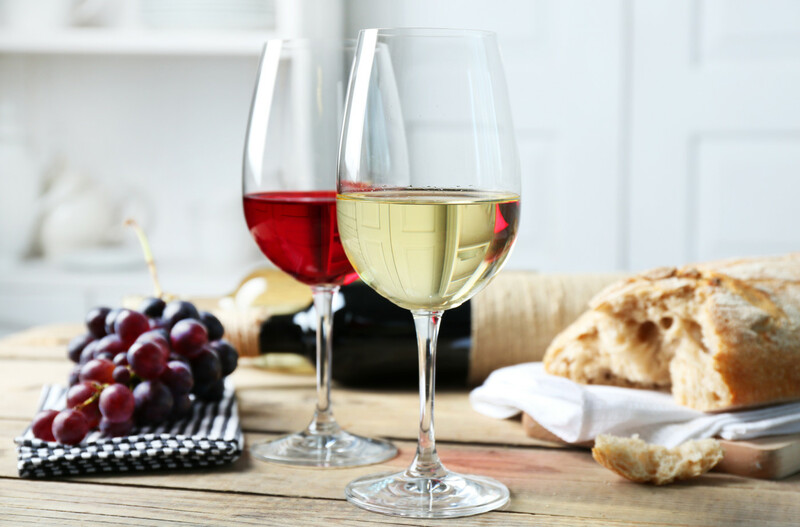 Though Greece’s wine culture is obviously long and rich in terms of history, many of its wines are unknown quantities to American wine devotees. If Chardonnay became popular partially because it’s a fun word to say, then the wines of Greece have the opposite problem. On page 44, Executive Editor Susan Kostrzewa offers explications and suggestions for some of Greece’s best and most available white wines, which make perfect accompaniments to summer seafood and other dishes. Our Pairings story in this issue has the customary recipes and prep tips but it is also a fun and unexpected entertaining story. Michele Anna Jordan presents everything you need to know about hosting a luau: the food, the décor, the music, the dancers and, of course, the best wines to accompany the sumptuous fare. Whether you’re planning a lighthearted luau or a more posh sparkling wine dinner, we urge you to grab your best bottles, invite some friends over and celebrate. It’s spring, and good times are here again. Note: All feature stories mentioned in this column are available in our June 2010 issue. Purchase the issue or sign up for a digital subscription.